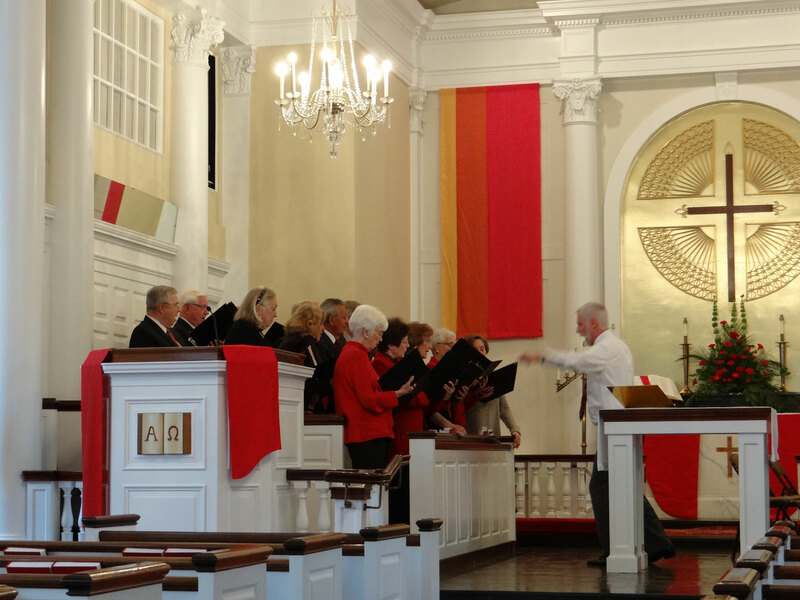 The Chancel Choir provides music during one or two Sunday services a month as well as evening services during Lent and Christmas Eve. The choir is open to singers high-school age and up. Rehearsals are Wednesday evenings from 7:00-8:15. The Handbell Choir rings once a month and Christmas Eve and Easter. High schoolers and older are always welcome to join the Handbell Choir. Rehearsals are Wednesday evenings from 6:30-7:00. On Sundays when the Chancel Choir does not lead worship, cantors take that role. Cantors are individuals who have volunteered to lead liturgical portions of the service. They may also be asked to sing a solo fitting to the day during the service. Guest musicians – soloists, instrumentalists and ensembles – are often hired for special occasions.